A specialist, drilling contractor in New England in the US has recently switched to Sandvik’s new, larger Sandvik60 drill steel. 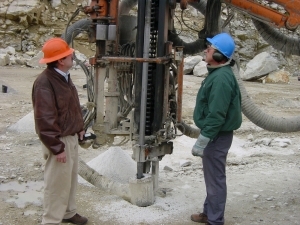 This has performed very well with regard to their major drilling criteria – hole straightness. It’s also proved exceptionally easy to decouple and is making their rigs more flexible and competitive as to the hole sizes they can drill. Gary Davidson started Yankee Drilling in 1984 in partnership with his wife Paula. 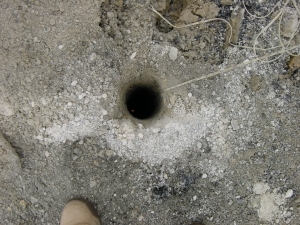 The company specializes in drilling. “We work in three states in New England; New Hampshire, Massachusetts and Vermont. Almost none of the quarries in this area do their own drilling. Generally, they’ll make a contract with a blasting company, who will then put out a tender for the drilling operations as a sub-contract. 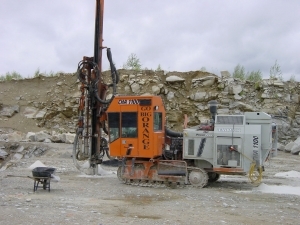 The blasting companies are often explosive manufacturers. There are three major companies of this type operating in our area,” says Gary. 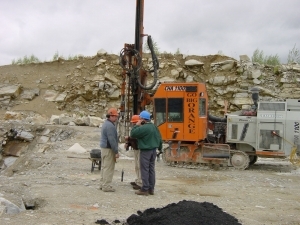 As a result Yankee drilling had to lower its percussive pressure to 115 bar, which took care of the temperature problem but cut the production rate to only 60 feet an hour, and since Yankee Drilling’s contracts are calculated on a per-foot-drilled basis, this was a serious problem for Gary.